A lot of colorists say that Copic markers are the best markers that money can buy. Then you realize just how much money they’re talking about! It makes you wonder if you really need them. There are a lot of cheaper Copic marker alternatives available, so what’s the secret? Why are Copics so expensive? 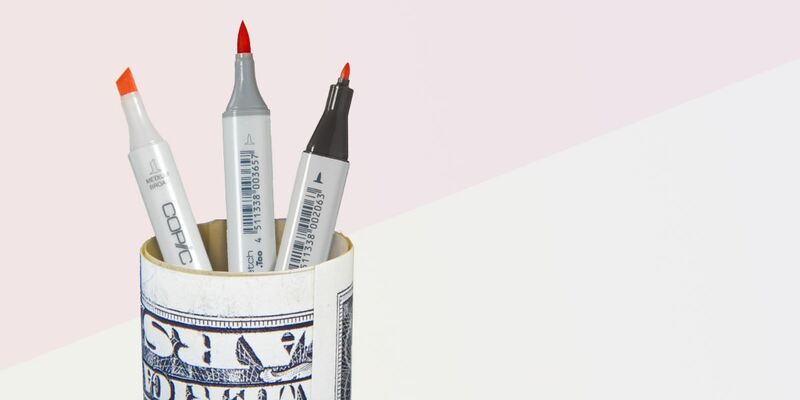 The first thing you have to understand is that these aren’t your average markers. They are top-of-the-line art markers used by professional artists and designers around the world. 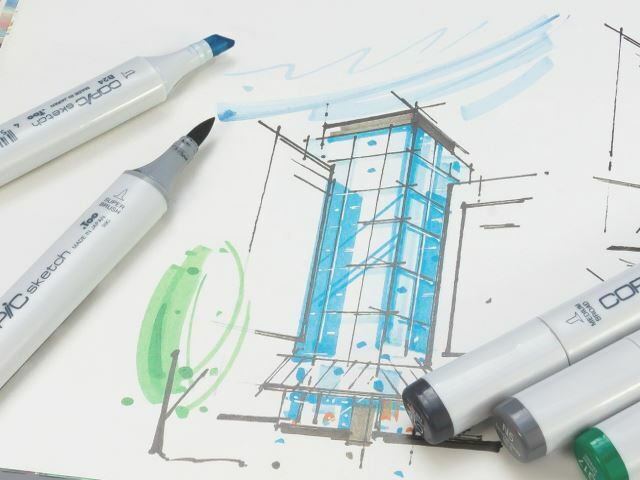 Copics are top-quality tools used by professionals in many industries, such as architecture and design. The alcohol-based ink is permanent and can write on almost any surface. They can be used on fabric, plastic, metal; cosplayers love using them to add highlights to their wigs! They have uses far beyond traditional art and coloring. Copic markers are refillable, and the ink is a lot cheaper than the marker itself. These markers are an investment; they will last a lifetime if you take good care of them. You’ll never need to buy another marker again, and the more you refill them, the cheaper they are in the long run. Copic markers come in 358 different colors. Copic uses a letter and number code to identify all of its standard colors, and its colors have stayed consistent for decades. You can count on that same shade of purple you’ve had for twenty years to never change. 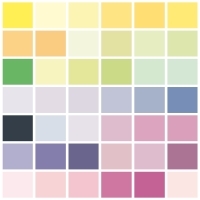 Our interactive Copic color chart shows you which markers are available in which colors. The Copic color code system identifies the colors by hue, tone, and saturation (and all colors have a name as well). This is great for buying replacement ink and markers, but there’s more to it than that; you can use the color code system to determine what markers will blend well together. And if the 358 standard colors aren’t enough, you can buy empty Copic markers and mix your own colors from replacement ink cartridges! The tip of the marker is called the “nib,” and different nibs produce different textures. Some are good for blending; others work well for edge and detail work. Depending on the type of Copic marker you have, there are a lot of different nib options that can completely change the way you color. Copics have replaceable, interchangeable nibs that can completely change the way the markers draw. When we said these markers will last a lifetime, we weren’t joking. 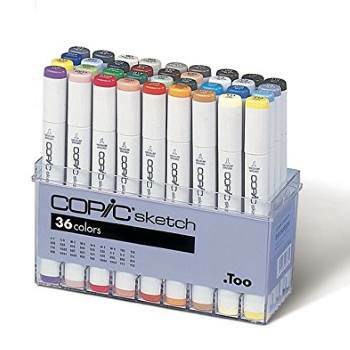 Copics are manufactured from the highest-quality materials and are expertly-designed. The caps are airtight and watertight. Stored correctly, the ink will last for years without drying out. Even if they do, they can easily be refilled. 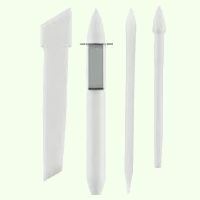 The design is also incredibly innovative; the Copic Airbrush System (ABS) will even turn your markers into airbrushes! So, are Copic Markers worth it? Yeah, Copics are really expensive, but for good reason. Don’t get me wrong; they’re not for everyone. If you’ve never colored with markers before, it’s best to start with a cheaper alternative and work your way up to Copics! But if you decide that you like using markers and want to move to the next level, then Copics are definitely worth the money. You can buy single Copic markers to try them out and start building up your collection slowly. Once you’re hooked, you’ll never go back! In our in-depth review, we compare the differences between all four types of Copic markers.